Francis Chan needs no introduction. Known as the author of numerous best-selling books, including Crazy Love and Forgotten God, his invitations to deep, committed Christian life have inspired millions of readers. But, of course, Chan is a pastor at heart. In 1994, he and his wife Lisa began a church in their living room that would eventually grow into Cornerstone Church, one of the largest churches in California’s Ventura County. The success of the rapidly growing church and of Chan’s wider writing and speaking ministry made the next chapter of his life raise a few eyebrows: In 2010, Chan announced that he was resigning from Cornerstone after 16 years of ministry. Chan felt called to spend time overseas, and then return to a large U.S. city (he eventually chose San Francisco) to reconnect with a way of doing church that was closer to the Bible’s example and that better embraced the spiritual giftings of all Christians. So, Chan, Lisa and their seven children packed up and moved to Asia, spending time among members of the house church movement in Hong Kong and mainland China. After coming back to the States, the Chans began ministry in San Francisco’s Tenderloin neighborhood among the homeless. The result of this time was We Are Church (WeAreChurch.com), an elder-led network of house churches in the San Francisco area that is now five years old, and currently numbering seven elders and 40 pastors. Their question? If someone asked you to describe church using only the Bible, what would you say? Now, eight years after leaving Cornerstone, Chan’s latest book, Letters to the Church (David C Cook), distills what he’s learned from this remarkable season of ministry into a call for Christians everywhere. Where did Letters to the Church come from? The yearning behind the book started when I was a teenager. I was reading the Scriptures and seeing one vision of church in the Bible and a different one in my life. But everyone seemed OK with that, and, being young, I brushed it off a bit. I mean, what was I going to do, change things? I didn’t really know any different. I just thought that the rich vision of the early church was the way it was and what we were living was the way it must be now. When I started Cornerstone 25 years ago, we just did it the way everyone else did. I had some notion of being bolder in my teaching and pushing the worship to be more heartfelt than is typical, but we still followed this basic pattern of what church looked like. But when I read the Scriptures I would still read about this power that the people had; about this love that they had for one another. They were so focused, dedicated to eternal things. But I still was trying to rationalize the disconnect. “Contextualize it,” I’d tell myself, or “Maybe that was just back then.” When I was confronted with missionary experiences that were similar to what I read in the New Testament, I’d say, “Sure, but that’s overseas. In America this is how we do it.” But it never totally sat right with me. I’m not 26 anymore. I’m 50. What would it look like to start a church in this phase of my life, based on what I know of Scripture? What would it look like to have the faith that what I read in the Bible can happen right here in America today? What would it mean to live the absolute, life-giving commands and let the opinions and structures we have held so dear all blow away? You used the word “structure.” In Letters to the Church, you reference John Stott’s concept of “heretical structures.” It’s the idea that we can build things into our institutions that are an unorthodox expression of Christianity. Did you feel that was your experience at Cornerstone? That you had built a heretical structure? Not exactly. That word “heretical” is too strong. It’s a lightning-rod term, right? I think it fits at some churches, but not at Cornerstone. OK. Replace it for us then. Here’s how I’d say it: There are things we did that weren’t the best for accomplishing what God wants in the church. Our methodology was pulling against our deepest mission. I would be frustrated with people not using their gifts freely in the church. But I had created a structure in which they couldn’t. When I stepped back and asked, When would someone use their gifting for our church? the answer would be depressing: Maybe during that hour and 15 minutes of the service. And, guess what? I’m speaking during 45 minutes to an hour of that time. So how is everyone going to use their gifting? When we implement that model and then say, “That was church that we just experienced,” the implication is pretty clear, even though it sounds awful to say it: Church equals Francis speaking for an hour and someone leading a couple of songs. That’s a far cry from Acts. There’s something wrong if we’ve built something where the whole body can’t effectively use their gifts for the common good. So, I began asking, How can I build something that lets us live out our full command to love each other? 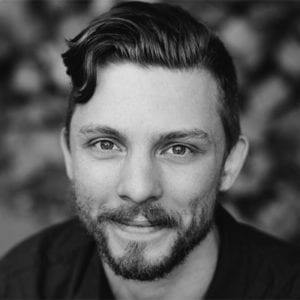 But as you look outward at the broader Western church, it seems like you are naming consumerism and other deep structural and systemic issues that are pervasive in our church culture as essentially heretical. How have you fought those dynamics in what you’re doing now? I’ve been very careful to use my gifts but not overuse my gifts. You know, it’s like being a good basketball player. If you take the ball every time—especially if you’re gifted—everyone else gets less and less involved and less and less interested. Instead, think of what happens if a good player who could take it to the basket every time starts to say, “No, we’re going to be a much better team if I distribute the work and depend on my team.” Now suddenly they’re unbeatable. I think it was being careful to set things up in such a way that I relied on other people and showed that they were necessary. There are different ways that we do that. The issue is not following the way I did that but acknowledging that getting everyone to play well is a biblical principle, and that we’ve got to figure out a way to get everyone’s gift activated and used, because they are necessary to the body of Christ. You appreciated that, with new force, after living in Asia recently, didn’t you? Compare that to most of America, where we feel like there is a power of the Holy Spirit in that guy to share the gospel, so let’s get everyone to him. There was recognition there, rather than you seeing a new thing, though. Right? Like you saw and recognized what you had longed for since you were a teenager. Yeah, it seemed a lot more like what I’ve read in Scripture. I just don’t believe that anymore. I believe it’s because we don’t expect biblical church behavior of our people. And that’s how we set things up—we build low expectations into our structures and ministries. Then people meet those low expectations. Where do you think those low expectations come from? They’re all around us. We live in a time when everyone wants to invest the minimum effort for the maximum benefit. We ask, “Why go the hard road if there’s a quick and easy way?” That whole way of thinking is predicated on a set of assumptions that aren’t biblical. I’ll show up at this convenient place, drop my kids off and someone will teach them for me. I’ll go in here and I’ll receive some teaching and encouragement, worship a little, and I’ll be fed, feel something and go on my way. I’ve got a busy schedule, after all, so let me pay some money and let them minister to me and minister to my kids. Great system. And in one sense, they’re right. This way of church is easy. The problem is that God asked for so much more. And offers us so much more. It’s very costly to love each other to the extent that Christ wants us to love each other. It’s very costly to truly serve. Of course, it’s easier to take than to give, but Jesus says that we’re more blessed if we become givers. If we come as servants, we find that God lifts us up. But because we’ve taken this easy road, we’ve traded the blessing of God in community for the consumer-driven church. In the book, you liken this to opening a zoo and letting these magnificent wild animals out of their cages to live as they were intended to, instead of this domesticated, “safe,” penned-in existence. What’s the first step for a pastor or a leader who wants to do that but just feels so overwhelmed? Perhaps they’re not called to leave their church. Perhaps they are stuck in-between what they’re reading in the Bible and this whole consumer-church industrial complex. Where to start? It’s not an easy spot to be in. It’s hard to say for anyone else, but I would say there are a couple very basic things to do. The first is to look at your own walk with the Lord. Be honest. Ask yourself, Man—am I deeply in love with Jesus right now? Am I walking with him? Abiding in him? When I read David and his psalms, and I read about Paul and his intimacy with Jesus, does that describe me? If not, then I need to do whatever I need to do to change and get that right. I need to love my time with the Lord. Because that’s where the second thing—making disciples—comes from. If you don’t have this intimacy with God, then you don’t really want to make disciples, because subconsciously you don’t want more of you! You know deep down that what you have isn’t worth replicating. The key is to be OK with the fact that it’s slow. That’s frustrating in this culture where everyone wants to see the thousands of people transformed overnight. Discipleship is difficult. It can look very unsuccessful. Just like Jesus looked very unsuccessful. You must be willing to take the time to multiply yourself in other people. Unless you have that faith in the power of the Holy Spirit, unless you have that true, unabashed enjoyment of Christ, then you really shouldn’t disciple. But if you do, then I would say, Step 1 is, don’t try to change the masses. You must take the time to have a few disciples and let it take its process so it can multiply. Now that I’m four or five years into this, I’m starting to see that happen. My jaw is dropping a bit. Oh gosh, I’m thinking, these guys are deeply in love with the Lord and they’re multiplying themselves and their disciples now are discipling other people. It’s working. It’s super simple, but it’s deep and real. Now I’m seeing the fruit. But it was awfully hard to step off the stage where it felt like I’m leading 5,000 people to only really leading five. You must bite the bullet. But it pays off. 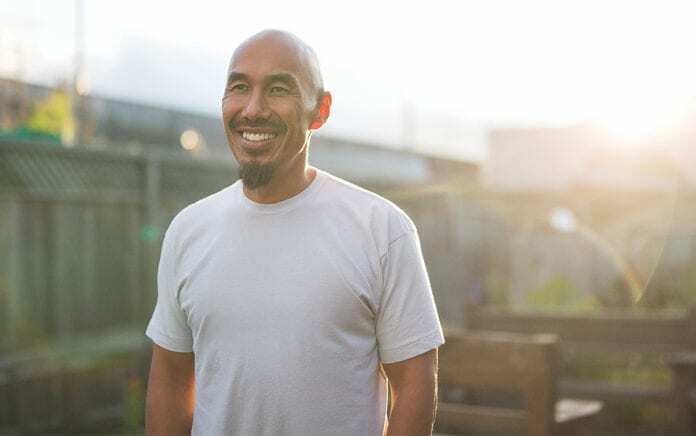 In Part 2 of the interview, Francis Chan walks us through a typical Sunday gathering and how he’s been encouraged by thinking about church in a different way, and building the church through serving others and making disciples. Paul J. Pastor is editor-at-large of Outreach, and author of numerous books, including The Listening Day devotional series. He lives in Oregon.